Embracing a new year is refreshing and exciting! When I reflect on 2012, I’m simply amazed. I’ve worked with some of my “heros” in the wedding industry… people I really admire and feel fortunate to know. I’ve gotten the opportunity to learn from them and collaborate with them. I’m blown away at some of the opportunities that have come up for me this year… like my Southern Living feature, being named Tennessee’s top event planner and then being asked to work on a TV show! My couples this year were also a joy to work with. I couldn’t be happier as I anticipate the new year. With the birth of our first child coming in just a few months, I can’t help but think 2013 will be a real adventure! I’m looking forward to new beginnings, new experiences and new weddings to work on. This board, as a whole, resonates with me and how I feel. It’s fresh and raw, while the gold touches add an element of elegance. 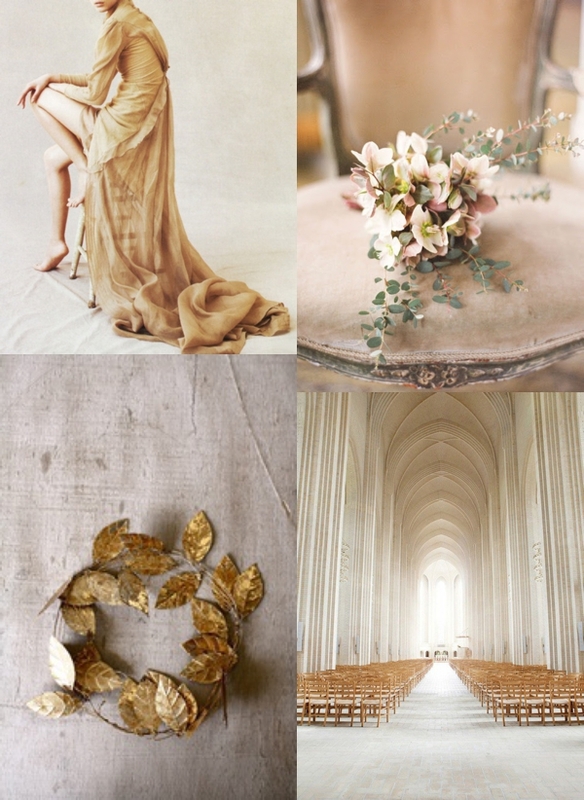 And while this aesthetic could be applied to anything, wouldn’t it make for an incredibly beautiful winter wedding? Cheers to all the things that this new year brings!